My site stopped working. What can I do? If you've found your store doesn't work, here are some guidelines to help get you pointed in the right direction. First, please check that the Shopify platform is not having issues at the Shopify Status page. If the platform is operational, then most likely a change or misconfiguration on your site caused the issue. Before contacting Out of the Sandbox support, please be aware that we handle support tickets in the order they are received and that, often, broken sites are caused by third party apps or customizations, which may fall outside the scope of Out of the Sandbox support. If your site is "broken," it is important to troubleshoot the issue and contact the right place first in order to get the issue resolved as quickly as possible and avoid waiting longer for a resolution. In many cases, issues regarding site errors are reported to Out of the Sandbox support but ultimately need to be referred to a developer, which can further delay a resolution. Because of this, we recommend carefully considering who is the best first contact if your site is down. Also, unfortunately, support requests to Out of the Sandbox cannot be marked as "urgent" and higher priority and your ticket will be responded to as soon as possible during normal business hours, which are generally 8 a.m. to 5 p.m. eastern time Monday through Friday (excluding major Canadian and U.S. holidays) on a first-come, first-served basis. Also, please note that Out of the Sandbox does not offer phone or chat support at this time. If you need immediate help, Shopify does offer 24 hours a day, 7 days a week support here. However, please note that Shopify may not be able to resolve your issue. Another option is to troubleshoot the issue using some of our tips here. Adding an app: If you recently added an app, you may want to try deleting it and using the code rollback feature. Note that simply deleting the app from your app dashboard does not always remove code the app has added. You may need to contact the app developer or consult the app documentation for full uninstall questions. Out of the Sandbox support may not be able to support issues with third party apps. Customizing code: If you customized code, it is possible your changes broke your site. Try reverting your site using the code rollback feature or from a backup. You can also use our Theme Updater App to download a fresh copy of the code. Out of the Sandbox support may not be able to support issues resulting in code customizations. Improperly configured store settings: Shopify has a wide variety of settings not related to themes that may not be properly configured. To resolve issues involving setting up products, collections or blog posts or any of the related features, we recommend consulting the Shopify manual first. If that doesn't resolve the issue, you may need to contact Shopify support here. Please note that per the Out of the Sandbox support policy, issues relating to apps or customizations to the code are not officially supported and we may need to refer you to a third party developer to resolve any of these issues. 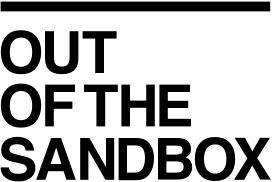 Does Out of the Sandbox offer phone support?